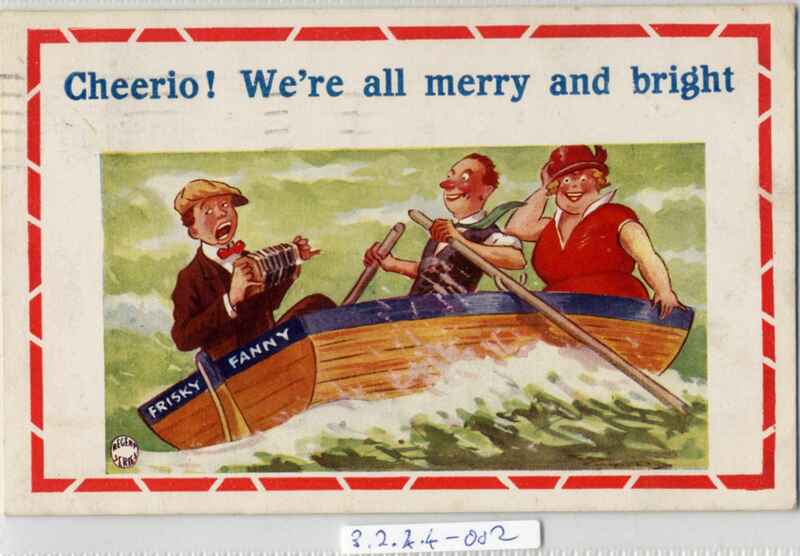 Full Description: A humorous postcard of a charabanc-load of lively holidaymakers saying "Work be blowed - we're on our way". The chap at the rear plays an octagonal many-bellowed concertina above his head. Divided rear, postally used, franked Clacton 29th Jun 1929, Card by The Regent Publishing Co Ltd.